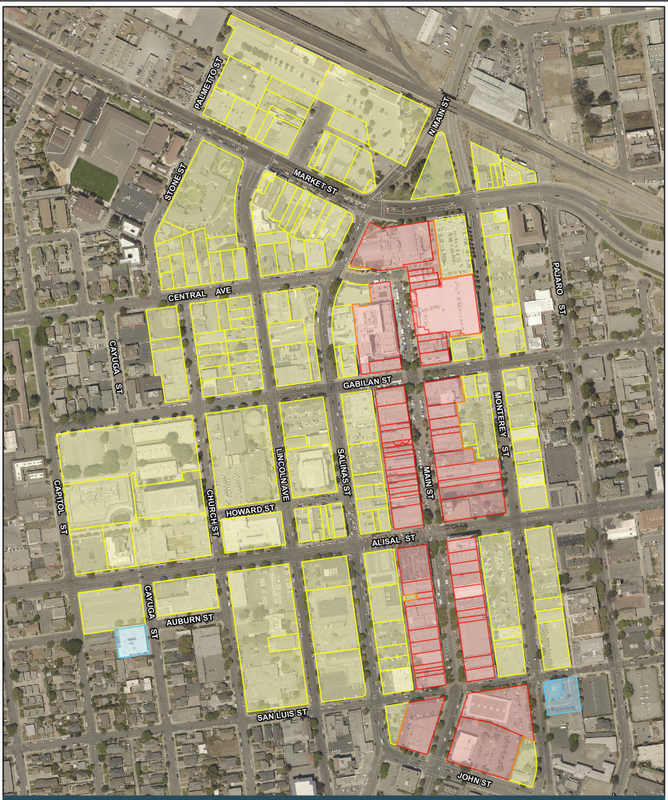 The Downtown Parking Validation Program is open to businesses located in the Downtown Parking District (see Document List for Map). Only businesses located in the highlighted areas of the Downtown Parking District will be eligible to participate in this program. Parking validation only applies to parking at the Monterey Street Parking Garage, although the program may be expanded to other parking locations in the future. Below are the two forms of validations that will be available to eligible businesses. Validation coupons are available to businesses and offer 1-hour of free parking. Businesses can purchase these coupons in minimum quantities of 100.
a. Business will sign a copy of the program policies and procedures agreement affirming that they agree to comply with its requirements. b. Businesses can purchase validation coupons at the cashier's office at the Monterey Street Garage, Monday - Friday, from 8:00 am. to 4:00 p.m. Businesses should call (831)758-7241, 24 hours in advance of picking up validations, to give the parking manager time to prepare their order. c. Businesses agree that these coupons shall only be used to validate customer parking; and that validating business owner employee parking costs is a violation of program policies. a. Sign a Downtown parking Validation Encoder Agreement. As part of this agreement, the business owner or the owner’s representative will choose the desired program (short-term- up to 3 hours; long-term – up to the full daily rate). b. Pay a refundable $200 deposit for the validation encoder machine. If the machine is damaged during the business’ use and control of the machine, (outside of normal wear and tear), the deposit will be forfeited and the deposit will be applied to the repair of the machine. When the business returns the machine in good condition, the City will refund the deposit. c. Businesses can obtain validation encoder machines at the Monterey Street Garage, Monday- Friday, 8:00 a.m. 4:00 p.m. Businesses should call (831) 758-7241, 24 hours in advance of picking encoder machine, to give the parking manager time to prepare their order. d. Businesses agree that these encoder machine validations can only be used to validate customer or visitor parking; and that validating business owner or employee parking costs is a violation of the program policies.